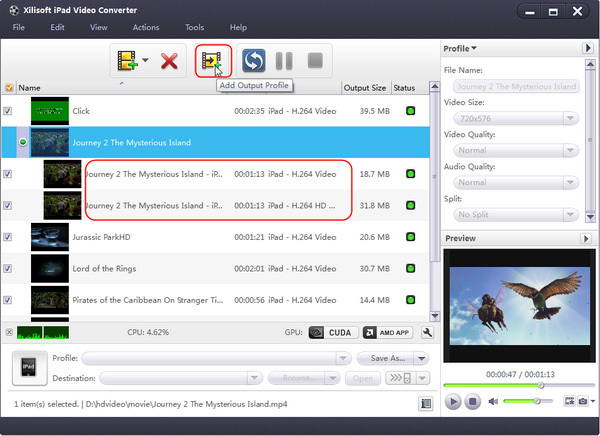 Guide for Xilisoft iPad Video Converter: How to convert videos to iPad? 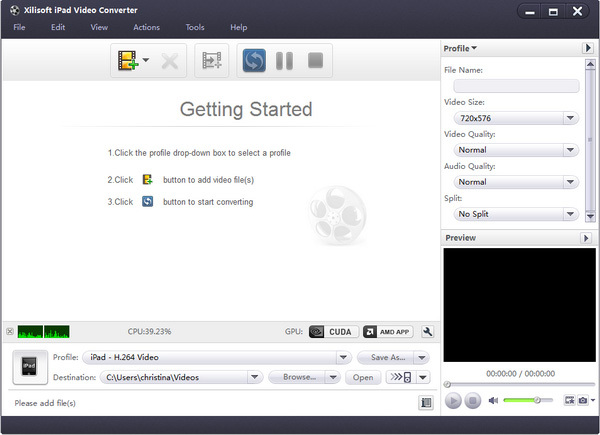 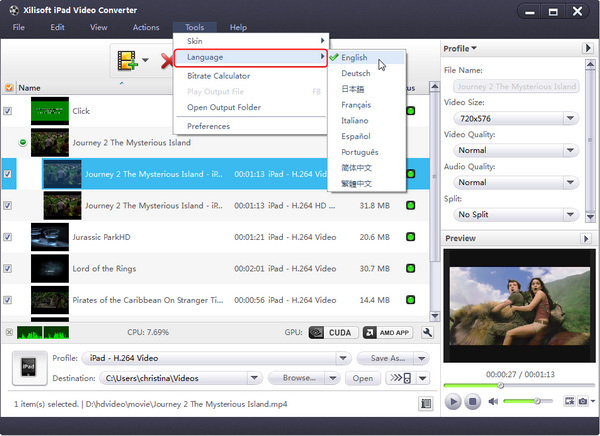 Here is the guide for Xilisoft iPad Video Converter, which will show how to convert videos to iPad. 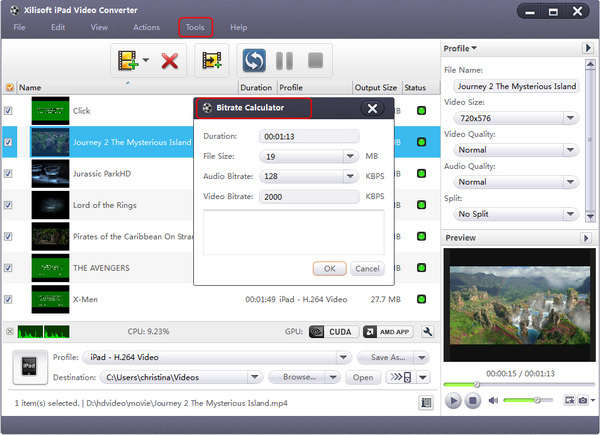 It can convert AVI, MPEG, WMV, DivX, MKV, FLV, H.264 , etc to iPad H.264/MPEG-4 video files, and convert HD videos like AVCHD (*.mts, *.m2ts), H.264/MPEG-4 AVC, MPEG-2 HD, MPEG-4 TS HD, MPEG-2 TS HD, Quick Time HD, WMV HD, AVI HD to iPad 720p H.264 HD video format easily and fast..
Download, install and run Xilisoft iPad Video Converter first. 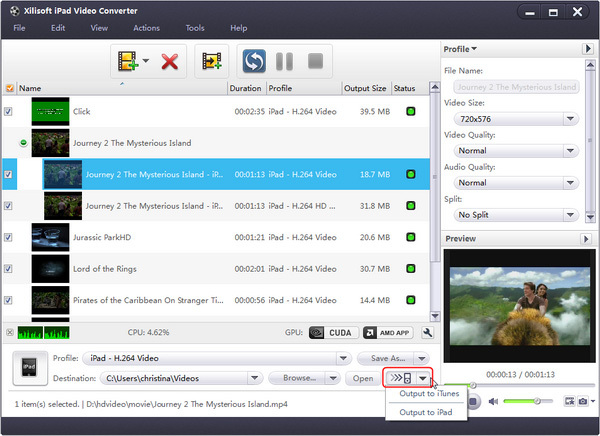 You can transfer videos to iTunes/iPad directly after conversion by Xilisoft iPad Video Converter. 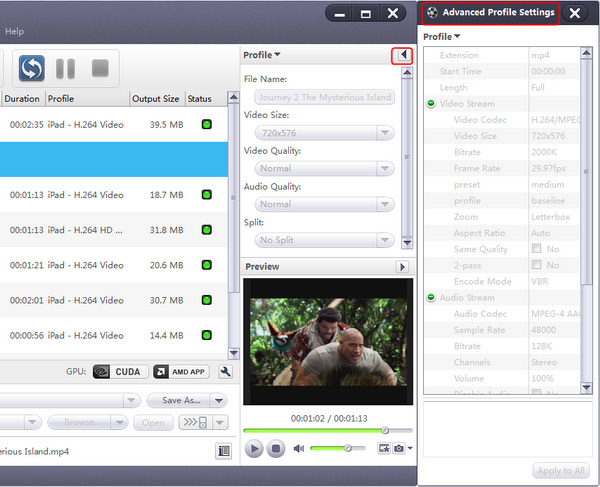 Provides multiple language interfaces including English, French, Spanish, German, Japanese and Chinese; plus much more!